On Thursday [Nov. 22, 2012] 200 students from north London schools visited Auschwitz-Birkenau death camp as part of the Holocaust Educational Trust’s Lessons From Auschwitz. This was reported by the Islington Tribune newspaper in an article written by Pavan Amara. As we walk into Crematorium II, Liza Pacarda of Parliament Hill School notes the average everything, apart from the ovens next door used to dispose of the bodies. She says: They [the prisoners] would have seen these pipes at the top, really would have thought they were taking a shower. I can’t get over the lies, they were numbing my mind. They were told to remember their clothes pegs before they went in there… why? When the officers knew they were going to die? It’s beyond words. I couldn’t describe it in one word, I couldn’t describe it in 10 words. This isn’t [a human experience], but what is it? I can’t decide. We hear the Nazis were monsters, they were so average, but if you believe that, it’s frightening because if they weren’t monsters, they were humans, which means what? 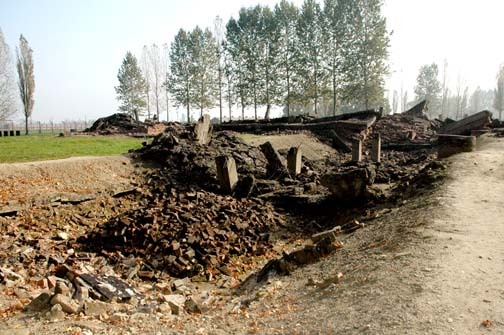 I was amazed to read this description of the underground ruins of Crematorium II at Birkenau. 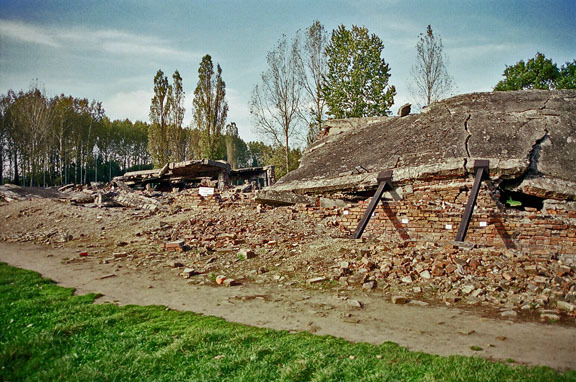 Did the students actually walk into the ruins of the Crematorium II gas chamber at Birkenau? 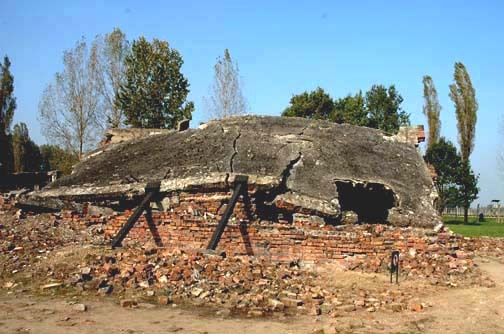 It is clear that the gas chamber being described is not Krema I in the main camp, which is at ground level. There are no pipes on the ceiling of Krema I, which is shown in my 2005 photo below. 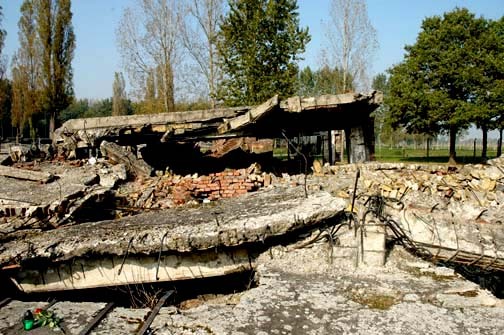 I know that it is possible to enter the ruins of Crematorium II, by crawling through a hole in the collapsed roof. 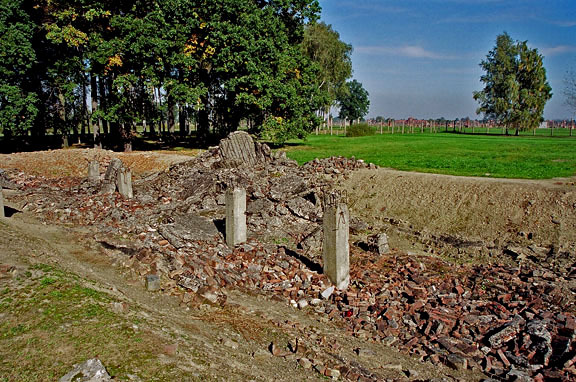 Fred Leuchter and Germar Rudolf (two famous revisionists) climbed down into the ruins many years ago, but I had no idea that it is now possible for British students to “walk into” Krema II, the “Holy of Holies,” where 500,000 Jews were gassed. It has been 7 years since I photographed the ruins of Krema II, but apparently, there is now a hole cut into the roof of the ruins, so that British students can walk down a ramp into the underground space. 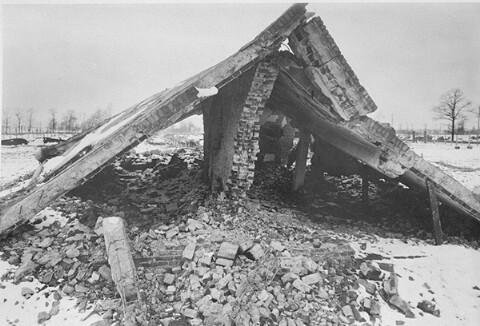 The British student described the ovens next to the gas chamber. 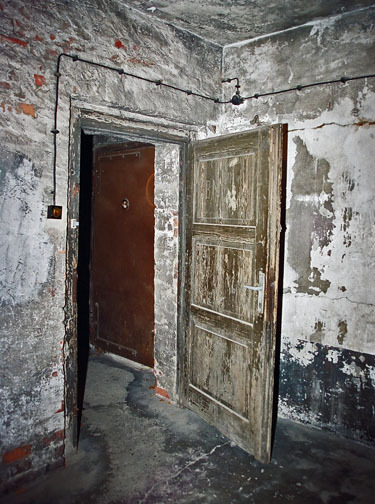 The photos below show the ruins of the room where the ovens were located. 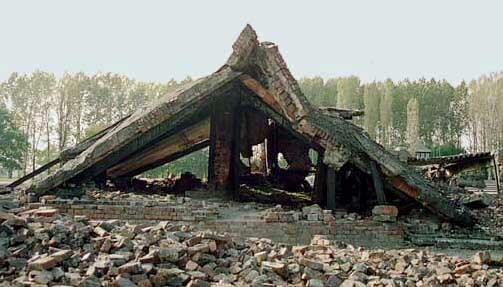 The ovens were removed by the Nazis before the building was blown up.